Following a cancer diagnosis, patients are rapidly introduced to multiple imaging modalities, complex radiation therapy equipment and difficult treatment decisions. Unfortunately, these factors can lead to anxious and misinformed patients, and the resultant patient-related distress can negatively impact outcomes following radiation therapy. 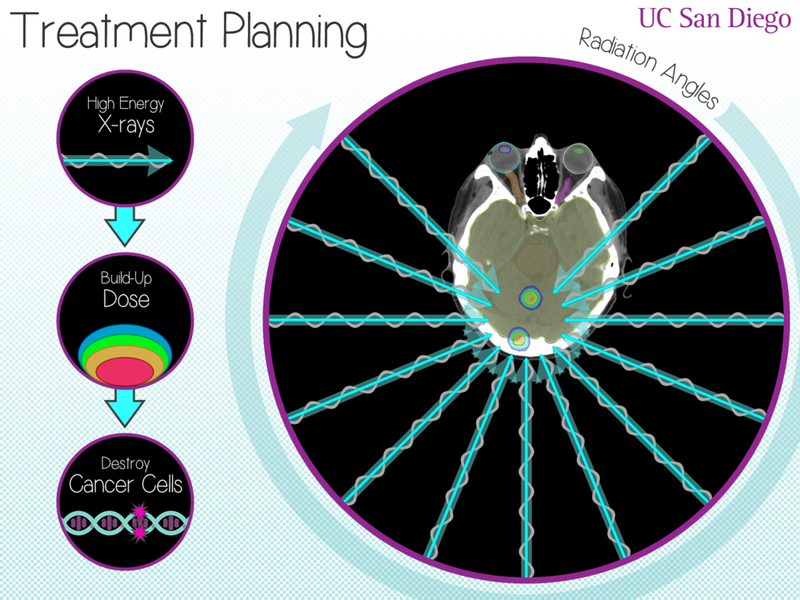 Effectively addressing these problems is a necessity for the field of radiation oncology. Initially this means that clinical medical physicists should be routinely meeting with patients during their course of treatment to educate them on the intricacies of their treatment plan and delivery. In the future, clinical medical physicists will combine their technical knowledge with direct patient care to expand the scope of the profession and provide even more value to the field of radiation oncology and the patients we treat. 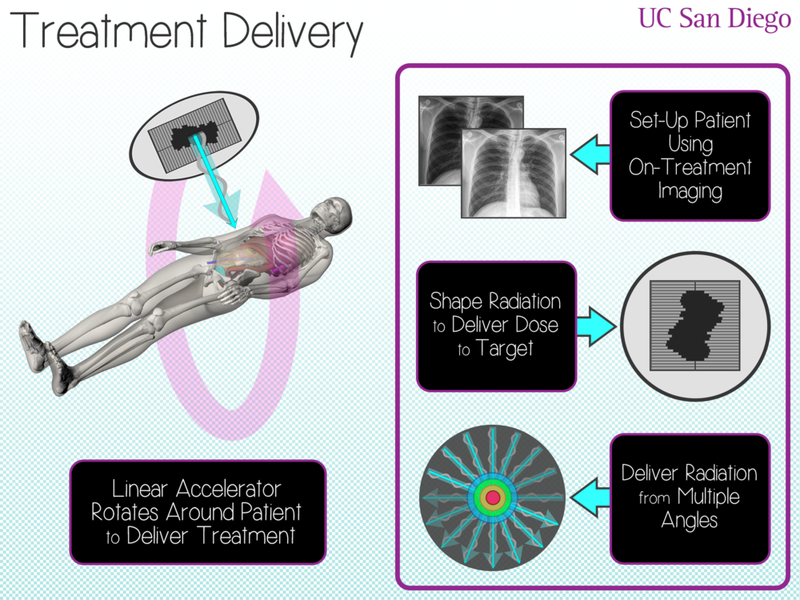 In our clinical trial, we first meet with the patient before their CT simulation appointment. This allows us to establish a relationship with the patient, assess the their initial understanding of the radiation therapy process and familiarize ourselves any predominant concerns they have. We next meet with the patient immediately prior to their first treatment to explain the details of their treatment plan and treatment delivery, taking into consideration what we’ve learned about the patient. We also make ourselves available at any time during the patient’s course of treatment, encouraging them to contact us directly with any technical questions that arise. 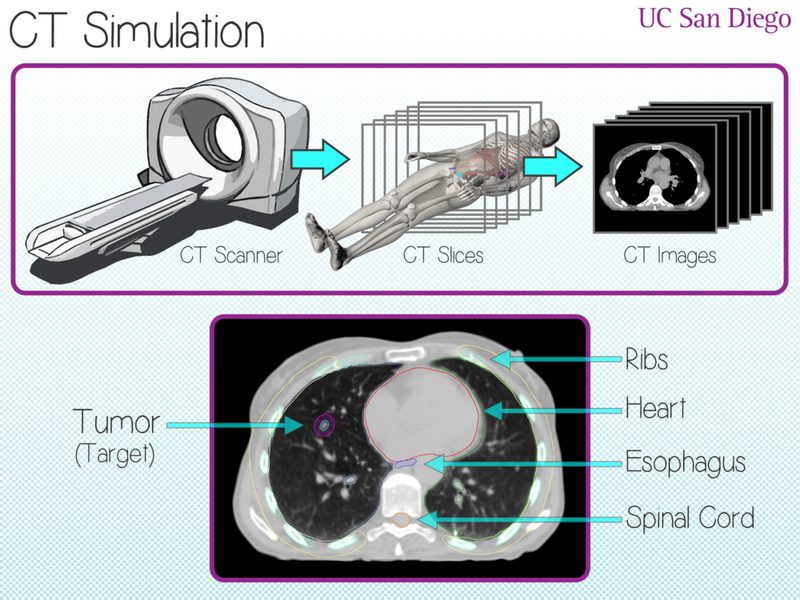 All patients receive customized information (available in both digital and paper formats) describing the CT simulation, treatment planning and treatment delivery processes. These resources allow us to better explain difficult concepts, while providing the patient with personalized information they can revisit at any time and share with others interested in their care. For this initiative to be a success, it is also imperative that we change the way we think about educating and training medical physicists and medical physics residents. Future medical physicists will not only need to be experts in the field, but it will be crucial that they are able to develop and maintain productive professional relationships with both patients and physicians. We have developed comprehensive training programs to meet the specific needs of this new initiative. These include patient communication courses, simulated patient consult scenarios, and comprehensive competency assessment. For more information, contact Todd Atwood PhD or Derek Brown PhD.